As with all the products we sell, we have sampled all the options, and brought you the best quality sets at the best prices. All of our plastic tournament grade chess sets have been sourced from one of the worlds biggest and most established producers of chess. 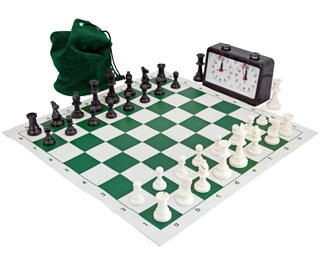 If you run a chess club and are looking for tournament chess supplies we can accommodate all your needs and ensure you pay the lowest price for your chess sets. Featured on the website are bundle deals with multiple sets. For custom deals and configurations get in touch with us.